Fifteen-year-old Sabien the Hunchbacked Monk finds himself on the top of the Kingdom’s Most Wanted list while on a quest to recover a holy relic. 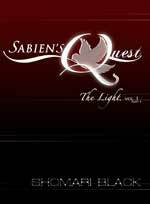 Sabien’s Quest: The Light is the first novel in a planned series. Afeclin was orphaned as a baby in a terrible attack from which he was protected by magic. 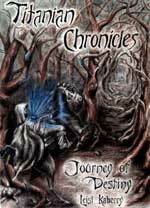 Raised with the elves by their king, Afeclin has an ambition to use his natural magical abilities to become a wizard. To do so he must return to the human world accompanied by his friend Wolfgang. Dark times are brewing and danger lurks around every corner. Can they save themselves and the people they love most? Fallon was raised as a ward of the state and has been protected from the world living under a philosophy of always looking and moving forward. When his life changes, it changes completely. He is drafted as a historian for a resistance type group. Fallen will experience emotions he never dreamed existed and have new adventures in life and love. 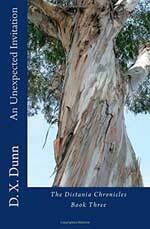 Billy is an Aborigine boy living in exclusion with his family in the Australian Bush. 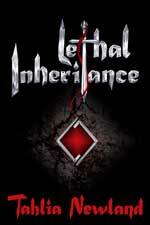 The spirit of his mother has picked him to go where the whites live to find girls to prevent the extinction of his clan. 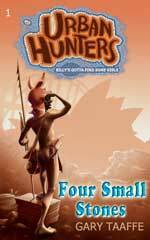 In Four Small Stones: Billy’s Gotta Find Some Girls (Urban Hunters) (Volume 1) the reader follows Billy’s adventures and is the first novel in a continuing series. Seventeen-year-old Ariel is an average teen. She’s feeling the pressures of upcoming exams and caring for a baby wombat when her mother is kidnapped by demons that purr with delight while ingesting the fear of their victims. In her pursuit of the kidnappers, Ariel enters a hidden world heavy with magic. With the help of new friends can she learn how to defeat the demons and save her mother in time? Chris and Alex are back and this time is Disandia where they meet a baby unicorn named Rebecca. Chris and Alex meet Erik the Great and discover how the rift is Disandia could extend to their world! Can they bravely face the challenge issued to them? It’s Chris’ birthday and Alex has come for a visit. The boys are playing on their new phones when they notice an app that neither downloaded and the picture looks like Distania! Do they risk going back? 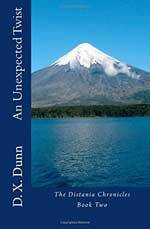 An Unexpected Twist (The Distania Chronicles) is the second book in the Distania Chronicles. Bleagh is new to school and a little different from the other children. Not only is Bleagh from a faraway place but he’s a blue monster! Will Bleagh be able to learn the customs of his new school with the help of his great classmates? Welsh siblings, Megan, Emma and Scott are home and reunited with their mother having been told never to return to Dafydd’s Kingdom. The problem is that the children haven’t found their father. There’s also the matter of the prophesy about the siblings defeating the evil wizard. How can they stay away when the Kingdom needs them? 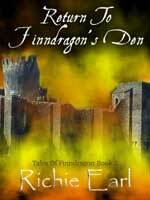 Return to Finndragon’s Den (Tales of Finndragon Book 2) is the sequel to Earl’s 2011 release, The Legend of Finndragon’s Curse (Tales of Finndragon). 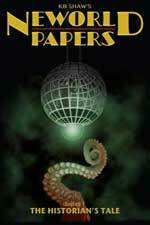 The first novel was reviewed on this site earlier in the year. Click here to read that review. Delilah has a talent for making dust disappear. She runs up walls with her special dusting tools making houses sparkle. 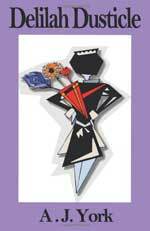 She is highly regarded among London’s elite and by her employer, Mrs. Fenchurch-Whittington. Delilah is deeply in love with Charlie, the Fenchurch-Wittington’s son and when he brings home a bride, Delilah’s heart breaks. The heartbreak leads to problems for Delilah that she never would have anticipated.